Russia’s Eurovision entrant will remain in the contest – after being banned from Ukraine. 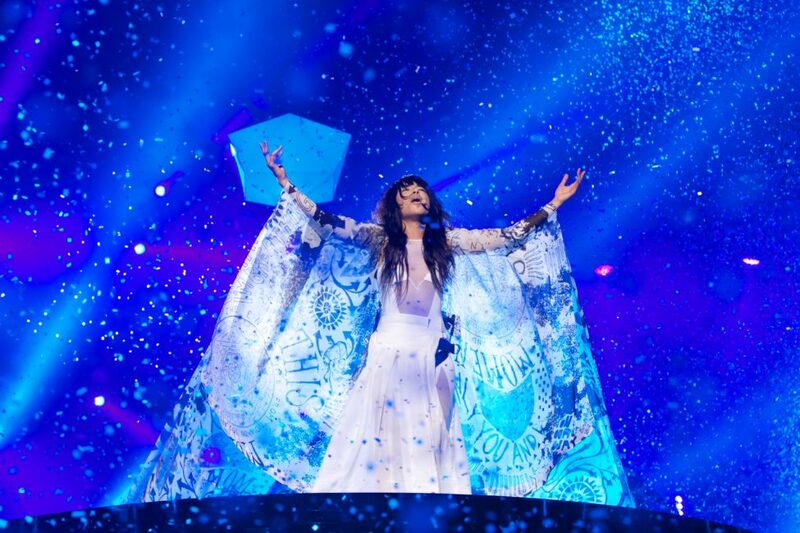 The Eurovision Song Contest begins in Ukrainian capital Kyiv on May 9, taking place in the country after the victory of Crimean Tartar singer Jamala in 2016. The contest was thrown into crisis this week after Ukraine’s security services announced that Russian entrant Yulia Samoylova has been banned from the country, and would not be permitted to attend. Her ban came after revelations that she has performed in Crimea since Russia annexed the Ukranian peninsula. All people known to have travelled to Crimea via Russia are banned from Ukraine, as they are considered to have illegally entered Ukrainian territory. In a bid to broker a compromise on the issue today, the contest organisers confirmed Samoylova will still be able to perform at the contest, and will do so via satellite from Russia. The European Broadcasting Union confirmed: “The EBU has been working hard to find a solution to this situation and has taken the unprecedented move to offer Channel One Russia the opportunity for Julia to still participate in this year’s Contest by performing live in the 2nd Semi Final via satellite. “Should the Russian entry qualify for the Grand Final the same solution would apply. The participation of Ms Samoylova, who is wheelchair-bound, had previously been praised. Eurovision Song Contest Executive Supervisor, Jon Ola Sand said: “We are continuing our dialogue with the Ukrainian authorities with the ambition to have all artists present to perform in host city, Kyiv, which is, of course, our preferred option. “It is imperative that the Eurovision Song Contest remains free from politics and as such, due to the circumstances surrounding Julia’s travel ban, we have felt it important to propose a solution that transcends such issues. It is the latest controversy over the contest, which has been plagued with multiple delays and setbacks. European Broadcasting Union execs previously threatened to pull the contest out of Kyiv over behind-the-scenes troubles, which has seen major decisions run months behind schedule. 21 staff from Ukrainian broadcaster UA:PBC recently walked out en masse – including executive producers, the event manager and head of security. The European Broadcasting Union blamed “staffing matters” for the crisis, but the departing staff warned in an open letter that the contest was facing serious hurdles and that staff had been “completely blocked” from making any progress. A decision to withdraw the contest from Ukraine was averted just months ago after the Ukrainian Parliament issued extra emergency funding to cover the cost of the contest, after delays on security, site preparation, set design, ticketing and transport.